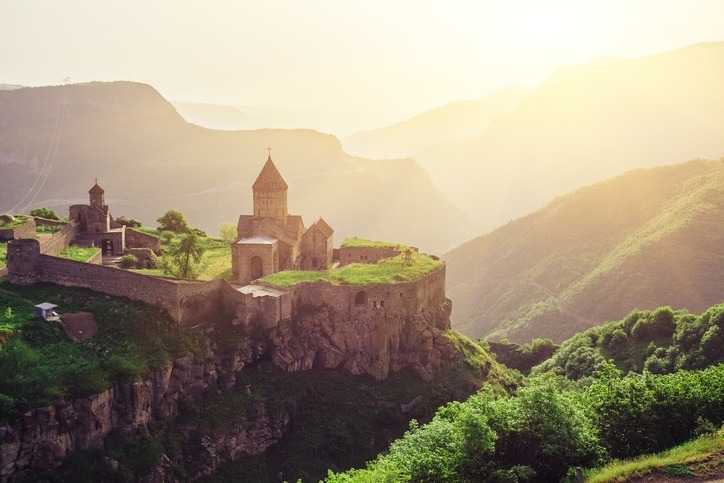 In the Caucasus, bridging the gap between Europe and Asia, is the fascinating nation of Armenia. 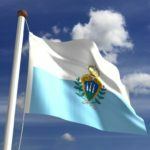 Historically under the sway of powerful empires, the country now looks to make the most of its independence. Want to learn more about Armenia? Bronze age civilization in Armenia dates back to around 4000 BCE, and by 700 BCE the Assyrians, the Kingdom of Urartu, and the Medes were all vying for power. Greater Armenia reached its zenith around 90 BCE, when it was a powerful kingdom unrivaled to the east of Rome. By around 306 CE the country was partitioned and the large Persian Empire soon came to control most of the region. Throughout antiquity, Armenia was the victim of many invasions due to its centrally strategic location. Prior to the Middle Ages, the Christian faith was introduced to the country and began to take root. Thanks to its location, Armenia during the Middle Ages was torn between the vast Byzantine Empire and Islamic caliphates and kingdoms. While initially Arab ruled, Armenia became independent for a time beginning in 884. However in 1045 the Byzantines took power…though this didn’t last long as the Seljuk Empire moved in about 26 years after. While a semi-independent force known as Zakarid Armenia came to rule in the late Middle Ages, the Mongols (along with other Central Asian tribes) dominated the latter few centuries of the medieval period in Armenia. The end of the medieval era brought further problems for Armenia – with the country divided largely between the Ottomans and the Iranian Safavid dynasty. While the Ottoman’s held a firm grasp, Safavid Armenia was ruled by successive Iranian powers before being ceded to Russia in the early 19th century. Armenia was also the unfortunate home of many conflicts between the warring empires of the region. Many Armenians suffered and were the frequent victims of reprisals when they pushed for more rights from their foreign rulers. As the clock struck midnight on the 19th century, the Ottoman Empire was weakening and Armenia was about to whether another, terrible storm. During World War I, the Ottomans and the Russians came into conflict in the area. The Turks viewed the Armenians with distrust – and as a result many ethnic Armenians living in Anatolia were killed, in what has since been called the ‘Armenian Genocide’ (an event that remains a key point of contention with Turkey to this day). Many males were killed outright, while women, children, and remaining men perished during harsh death marches. Around 1 to 1.5 million people were killed in total. Armenian volunteer units and Russian forces managed to claim part of Armenia from the Ottomans. After the war, an independent Armenian Republic was founded with financial support from the Entente Powers (and a border drawn by President Wilson). However this was short-lived as a Turkish invasion toppled the fledgling republic…before Soviet forces moved in and claimed the capital. Despite some resistance, Soviet rule was finalized in 1922. Although the country was fairly stable and didn’t see any fighting in WWII, around 500,000 Armenians still served in the Soviet army. Towards the latter years of the USSR Armenia grew in prosperity, though the final decade was fraught with discontent and environmental issues (related to pollution from Soviet factories). This caused a growing movement for independence, which eventually resulted in armed militias facing off against troops. After the failed Moscow coup in August 1991, Armenia declared independence and elected a new president. 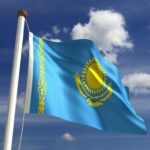 The early years of independence were not easy, as the country was soon embroiled in a border war against Azerbaijan (the Nagorno-Karabakh War) and suffered from deep economic issues. A ceasefire was brokered in 1994, with Armenia claiming much of the disputed region. Despite this, the situation remains in flux, with borders to Turkey and Azerbaijan closed and Nagorno-Karabakh caught between the two neighbours. More recently Armenia has sought to increase trade with both nearby powers and Western countries in its transition to a market economy. While many political and economic issues remain, the country has come a long way since the independence. Armenian culture is deeply rooted in the Christian faith – with the country the first in the world to make it the state religion (way back in 301 CE). Music, dance, and art are some of the most popular expressions of traditional and indigenous culture. In addition, the Armenian people have emigrated in droves following the genocide, creating many diasporic communities throughout the world. Armenian food is similar in many ways to nearby Eastern or Mediterranean countries. 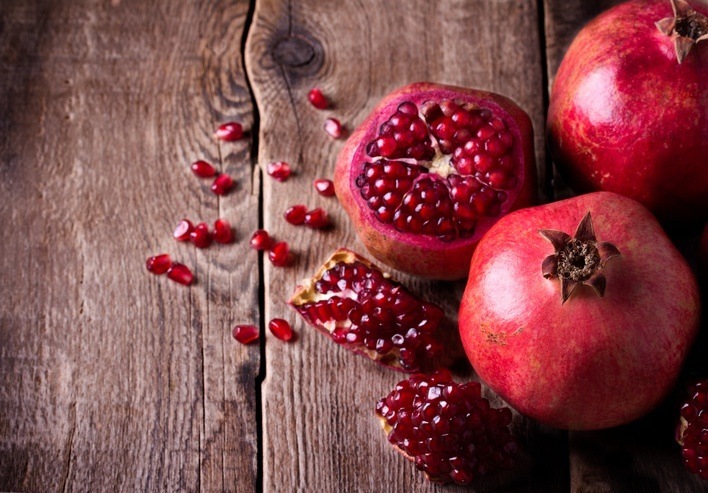 Fruit (especially pomegranate and apricot) are combined with veggies, fish, meats, and spices to great effect. 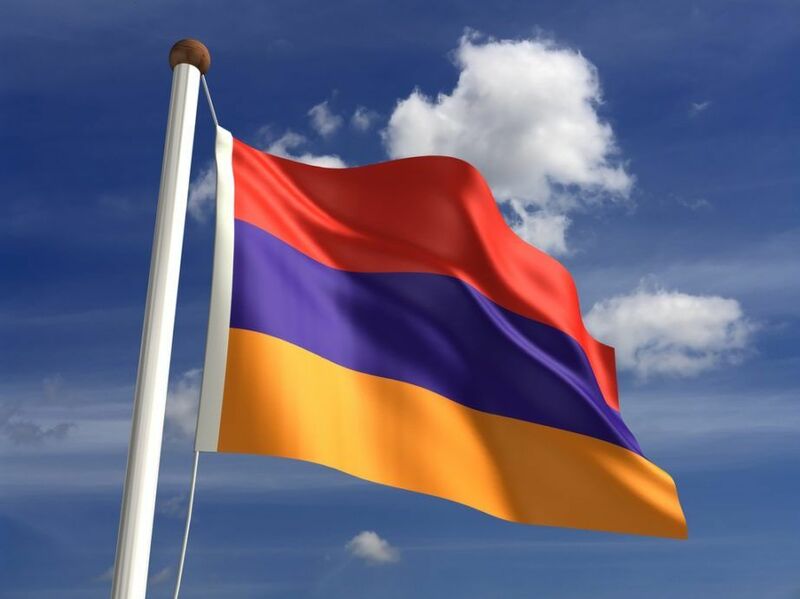 The flag of Armenia consists of three horizontal stripes of red, blue, and orange colours. The red represents the Highland of the country as well as the struggle for survival and Christian faith, blue denotes the will of the people ‘beneath peaceful skies’, and orange stands for talent and hard work. Many sports and games are popular throughout Armenia. Wrestling, judo, weightlifting, chess, boxing, and soccer all enjoy widespread followings. While the national soccer team has not yet qualified for a major tournament, they have made improvements on the world stage as of late. Manchester United’s Henrikh Mkhitaryan is perhaps the country’s most well known sportsman internationally. 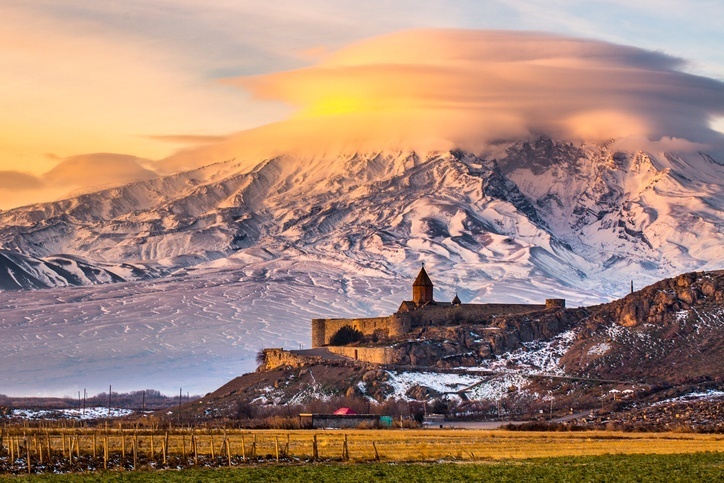 Armenia is a landlocked country that is found in the South Caucasus straddling the border of Europe and Asia. The region is largely covered with mountains and rivers, though there are some forests. The capital, Yerevan, is by far the largest city in Armenia with a population of over 1 million. No other city has a population greater than 150,000. 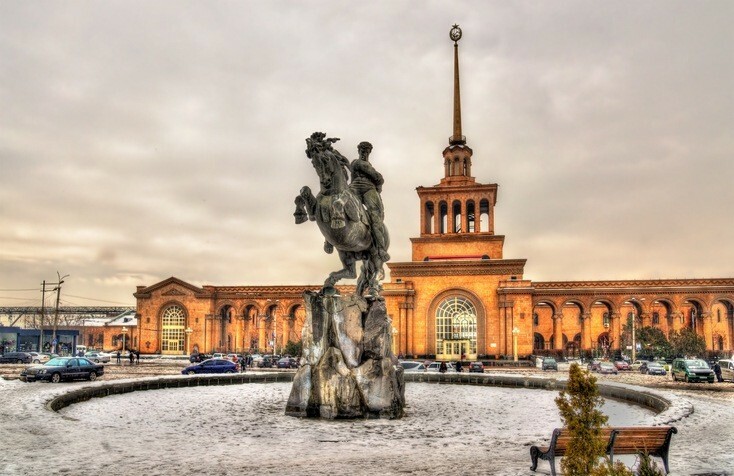 Yerevan is one of the world’s oldest continually inhabited cities – with people calling it home since 782 BCE. 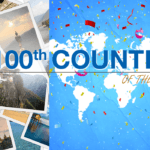 Continental’s Countries is your gateway to an entire world! Our Travel Guide also showcases the best of Armenia while our Currency Spotlight covers the Armenian dram.